Update: Twitter suspended the new "Jenna Abrams" account minutes after CNN published this article revealing its existence and Twitter's lack of action against it. A Kremlin-linked troll that has become infamous after having fooled thousands of Americans appears to have returned to Twitter more than a week ago. The account is proudly touting itself as a Russian troll in its Twitter bio, but Twitter has taken no action against it. 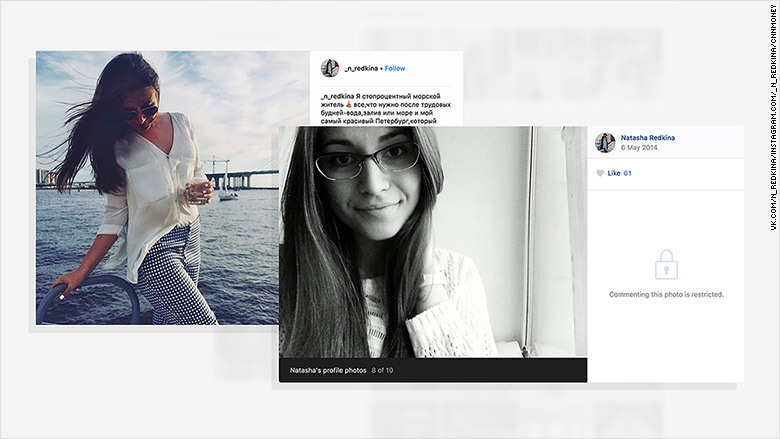 Using the pseudonym "Jenna Abrams" and photographs of a Russian woman, the troll account in its initial incarnation posted more than 25,000 tweets using an invented persona of a conservative American woman. Before it was shut down, "Abrams" amassed a following of more than 70,000 -- including, according to a CNN analysis, former members of the Trump administration Michael Flynn and Sebastian Gorka, as well as Flynn's son Michael Flynn Jr. The account was on Twitter for years until the company determined it was part of a network of almost 3,000 accounts run by the Internet Research Agency, a troll army in St Petersburg, Russia, that has ties to the Kremlin, and shut it down. The House Intelligence Committee earlier this month released a list of IRA-linked accounts that Twitter had compiled and provided to the Committee; the Abrams account was among them. The Abrams account has become one of the most infamous of the IRA's efforts ever since its link to the group was first reported by RBC, a Russian magazine, in October. That's in part because of the success it had in coming to wider attention. Tweets from the account were featured by dozens of American and international news organizations, including CNN. "Abrams'" activity was not limited to Twitter. The troll or trolls who ran it also had blogs on the publishing platforms Wordpress and Medium. Last week, a post appeared on the Wordpress blog, the first since the original Twitter account was suspended. Among other things, including denying that the account was run by Russians and telling Americans to blame themselves rather than Vladimir Putin for the election of Donald Trump, the author or authors of the post disclosed that there was a new Abrams Twitter account, @realJennaAbrams. The new account, which began tweeting on November 8, doesn't just boldly use the name Jenna Abrams in its handle. It also used, for a period, the same profile picture as the original account. And when it started tweeting, it immediately began mocking, in tweets and in its profile, American media's coverage of the original account. "This article is my favorite one," the new account tweeted with a link to a Guardian story headlined, "Jenna Abrams: the Trump-loving Twitter star who never really existed." 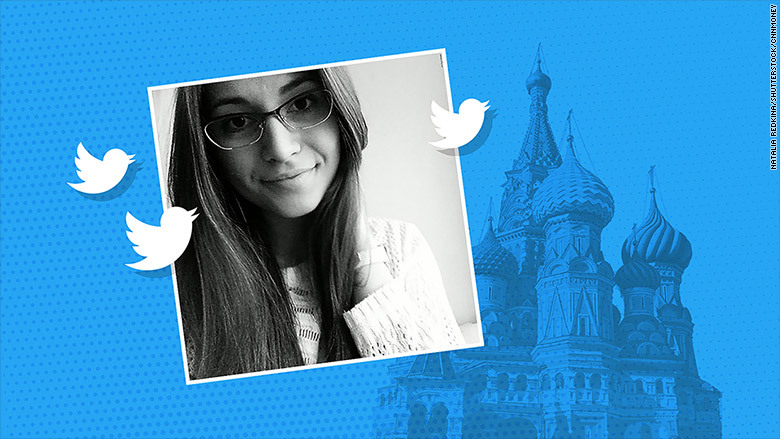 In its profile, the account included snippets from articles about it as if it were a movie being reviewed: "She is basically Vladimir Putin - The Guardian Russia's best troll - Mashable"
As of Friday morning, the new account had just 25 followers and had sent only 38 tweets. But its continued existence, despite the fact that it is either connected to Russian trolls or pretending to be, still seems to fly in the face of Twitter's telling Congress just two weeks ago that it is working to ensure "the experience of 2016 never happens again." CNN messaged directly with the person or people running the account this week through private Twitter direct messages. There, again, they denied being part of a Russian troll operation, but declined to say who they were or where they were from. Separately, CNN identified the woman whose photos the account has for years used to help grant the persona a veneer of legitimacy. The photos were taken from the social media accounts of a real person who lives in St. Petersburg, Russia -- the city where the Internet Research Agency is based. Nataliia Redkina, 26, expressed both surprise and concern when CNN showed her how her pictures had been used on Abrams' accounts. She had not been previously aware her image was being used this way, she said. "I'm not interested in political news," she told CNN, "I'm an architect and I work hard every day." Redkina said she works for the Committee for the State Preservation of Historical and Cultural Monuments, a part of the St. Petersburg city government. She said she is restricted from posting political messages like the ones that have appeared on the Abrams accounts because of her job. Redkina said she had not heard of the Internet Research Agency and that she hopes her photos will be removed from any existing accounts. "I don't know how to change this situation," she told CNN. When CNN asked the person or people running the new Abrams Twitter account why they were using Redkina's photographs, they removed them from the profile and wrote in a direct message to CNN, "I want to take this opportunity to say sorry for that. first it was an experiment, then it became a brand." Twitter said on Friday that it was looking into the account. -- CNN's Laurie Segall contributed reporting.